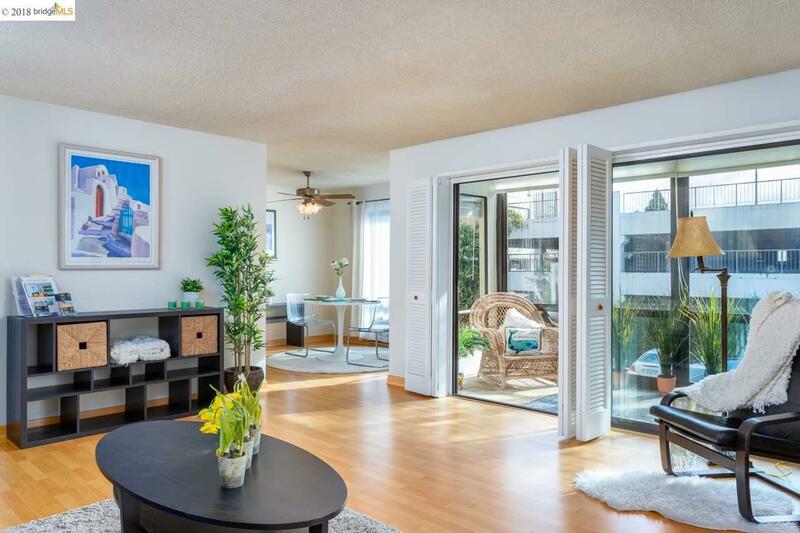 This unique and tastefully remodeled Corner 1 Bedroom/1 Bath is south/west facing with a serene and private location. Featuring the rare Enclosed Balcony and the very rare Bedroom Sliding Glass Door, all with dual pane windows, this is truly a must see! Watergate is a lovely condominium community located on the Emeryville peninsula, surrounded by the San Francisco Bay. More recreational facilities than you'll find in any other local complexes. Sporting year-round heated swimming pools, hot tubs, sauna, full size gym, billiards room, tennis courts, raquetball court, ping-pong, etc.. Emeryville is the new place be...complete with public transportation, gourmet restaurants, designer shopping, bayside walking/biking trails and more. Listing courtesy of Robin Leineke of Realty World Waterfront.